Yes, Sabra is her real name. No, she is not and never has been Israeli or Jewish. But the Fairhope, Ala., resident is now embarking on a large-scale plan to promote Israeli-made products across America. Sabra Joines is currently laying the groundwork for Sabra Style, finding vendors and investors. “There are so many supporters of Israel, and they want to know practical ways to support Israel,” she said. At first, she thought about opening a storefront in Fairhope and featuring Israeli products, but the idea grew into something much larger — distribution and home shopping. A major component of the initiative will be videos about the products and those in Israel who produce them, telling the stories behind the products. These would be shown on a home shopping channel style broadcast and on the Internet. In doing so, she hopes to promote a side of Israel that people do not see on the evening news. Finding the hidden gem in items is part of her background. Joines originally worked in home decorating, “finding hidden treasures in peoples’ homes” and seeing the potential in those items. Several years ago, she had a “revelation” that she was to do the same for Israel, but wasn’t sure how she should do it. 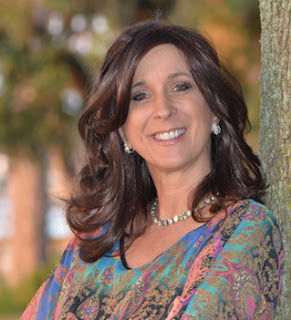 One day she was in the library in Ocean Springs, Miss., and a Jewish woman came up to her, saying “I understand your name is Sabra.” Joines told the woman that she wasn’t happy about her name, since it meant cactus. The woman replied, “Oh, it’s a beautiful name,” and explained to her how it referred to a native Israeli. Like the sabra cactus, an Israeli has a prickly exterior, but is really sweet inside. Something clicked, and the women stayed up until 2 a.m., talking and drinking coffee. Not long after, she ran into Ron Nachman on Royal Street in Mobile. Nachman is mayor of Ariel, which has a sister city relationship with Mobile. She has worked as a liaison for Ariel in the United States. To help the effort, she has met with Consul General Opher Aviran in Atlanta and joined the American Israel Chamber of Commerce. She has also attended several functions of the Eastern Shore group that Springhill Avenue Temple has organized, getting to know the community. She has teamed up with Stanley Zimmerman, who is chief operating officer for Sabra Style. Currently, Joines is working to line up investors for the company. She said there are always so many problems reported from the Middle East, and she is interested in providing solutions, one of which is boosting Israel’s economy and image. This is especially important as groups that promote BDS — boycott, divestment and economic sanctions against Israel — continue to gain traction, especially in places like California and Massachusetts, not to mention Europe. “Sabra Style is a solution, opening doors of honest trade so Israel can excel and prosper allowing the world to discover Israel in a new light,” Joines said.